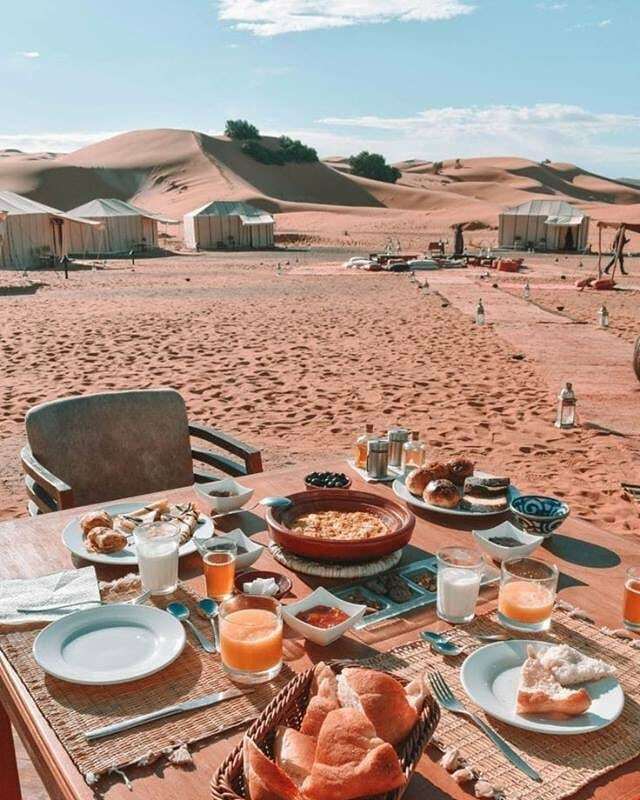 We at Enjoy-Morocco Tours provide a variety of inspiring and informative professionally Casablanca guided tours and Morocco trip daily through many destinations across Atlas mountains, and Sahara Desert. All of the Marrakech private tours listed below are move along at a leisurely pace. Enjoy Morocco team organise Casablanca private tour with experienced drivers and local friendly guides. Upon arrival in Casablanca, the economic capital of Morocco, you will be met by your personal driver and transferred to your Casablanca hotel, where you will check in and relax. Depending on your arrival time, you will have a visit to the Hassan II, one of the world’s biggest mosques. Your evening meal will be served in the hotel. After breakfast, included, your group will leave by van towards Fes. On route, we will stop at Rabat, the capital city and residence of the King, for lunch and a time to enjoy the beautiful coastal city, including the old medina, Kasbah of the Oudayas, the Oudaya Gate, and the Hassan Tower. You will then head on to Meknes and visit Moulay Ismail stables, granaries and House of Water, Bab el Mansour, and the Moulay Ismail Mausoleum. In the evening you will finish your trip into Fes, the spiritual capital of Morocco. Your evening meal will be in the hotel. Enjoy guided tour in Fez exploring Fez el Bali as the old city – medina ,which is like walking into an ancient world. Streets here are narrow, and we explore medina wih a licensed guide and potters are just a few places you will experience. For lunch you will eat in traditional restaurant in the heart of the medina. After lunch you will complete the tour and return to your hotel for the evening. We travel to Ifrane, a mountain town, called the “Switzerland of Morocco”. At that point, we continue to Midelt. During this excursion – you will see sights of the Middle Atlas mountains. Arriving at Azrou, a Berber town in the middle of the famous cedar woods – the greatest in Morocco, you may well catch scenes of Barbary apes. After enjoying your time inside the forest playing with the monkeys and feed them, your journey will continue to Midelt along the amazing slopes and the Atlas Mountains. You’ll take your lunch in the town then continue through the Ziz valley, Errachidia and Erfoud to finally arrive at Merzouga desert. Night in hotel with dinner. We will drive to Khamlia village, after having breakfast, to enjoy listening to Gnawa music, then through an off-road to have a walk in the Sand Dunes, while stopping to have a cup of tea with a nomad family, you will spend great moments with them, and fall in love with their simplicity and hostility. Heading back to the hotel to take a rest, and to get prepared for a few hours camel trekking into the middle of the Erg Chebbi dunes, in order to enjoy yourself in its charming beauty, have dinner and spend a night there. Early morning we will watch the sunrise from the high dune and then we continue camel trekking to our hotel in Merzouga. After breakfast and shower we continue our private Morocco tour towards Rissani and Erfoud where we can visit fossil marble factory and shops. Then we pass Tinjdad , Tinghir and our next destination will be the Todra Gorge. It is a paradise for climbers and you will have free time to discover it by yourself. In the afternoon we continue to the Dades Valley where we will have dinner and overnight stay in local riad/hotel. Today we departure towards Marrakech visiting Ouarzazatte. Here we can visit movie studios and also local kasbah. We continue our private Morocco tour to Ait Ben Haddou to visit its famous village and kasbah. Many famous movies has been filmed here. 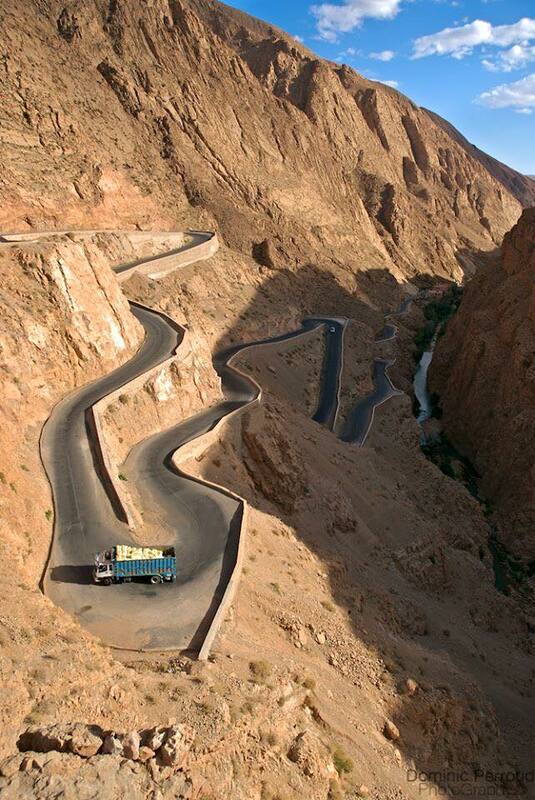 Then we continue driving through High Atlas Mounains via Tizi n Tichka mountain pass. After we reach Marrackech we will drop off you at your hotel and then we will explore medina in Marrakech. Next, after breakfast, you will have a guided tour through Marrakech where you will be led first to discover the Palace of the Bahia, the Saadian Tombs, and numerous other hidden treasures like the Majorelle gardens. After lunch, you will continue with the visit to the exquisite Koutoubia Mosque and the bustling Jemaa el-Fna, one of the central interests of Marrakech. This brings you further to appreciate an enthusiastic night with the local performers, storytellers, and mouth-watering grilled dishes. This wonderful tour also includes a visit to the souk (open market), and with a stunning dinner at your accommodation. After breakfast, we will leave Marrakech “the red city” towards Essaouira, the ancient city of the Portuguese. You can visit an Argan factory run by women and know about the process of making Argan oil. Explore the port of the seaside resort town of Essaouira. Enjoy a lunch of fresh seafood in the medina. The afternoon is in your free time for a personal exploration, you can swim and relax on the beach. In the afternoon we return back to Marrakech. * Our Casablanca tour trip is available every day during the year. * Contact us today and tell us how many people travelling with you on this Casablanca guided Tour, and what category of accommodation you require (standard or high class). * Casablanca to Desert Tour in comfortable A/C Vehicle + fuel costs. * Experienced Merzouga desert Guides. * Camel Ride in Erg Chebbi.